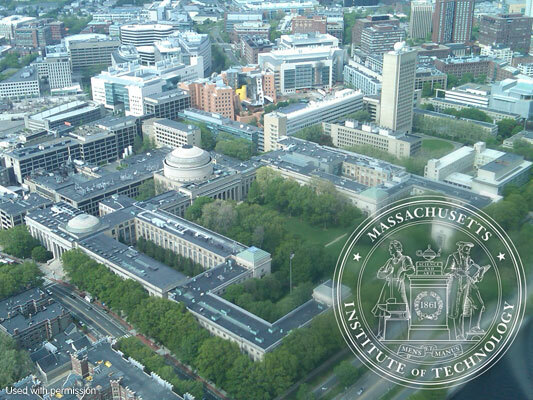 The Massachusetts Institute of Technology (MIT) is a large, mostly residential, majority graduate, and professional research university. The four year, full-time undergraduate instructional program is balanced between sciences, professions and arts. Admissions are characterized as "more selective, lower transfer in." The graduate program is comprehensive. The School of Engineering has been ranked number one among graduate and undergraduate programs by U.S. News & World Report since results first published in 1994. A 1995 National Research Council study of US research universities ranked MIT first in reputation and fourth in citations and faculty awards and a study in 2005 found MIT to be the 4th most preferred college among undergraduate applicants. We teach the concepts, skills, and values sought after by this and other prestigious technical institutions. We can not guarantee admission. We CAN guarantee that if your child aims high enough, they will get there on their own merits. We build that kind of confidence. We foster that kind of drive. Give your kids the chance to grow wings. Enroll them at Great Minds Robotics today.